Major appliances like dishwashers, ovens, and refrigerators are extremely important to the function and fashion of your kitchen. 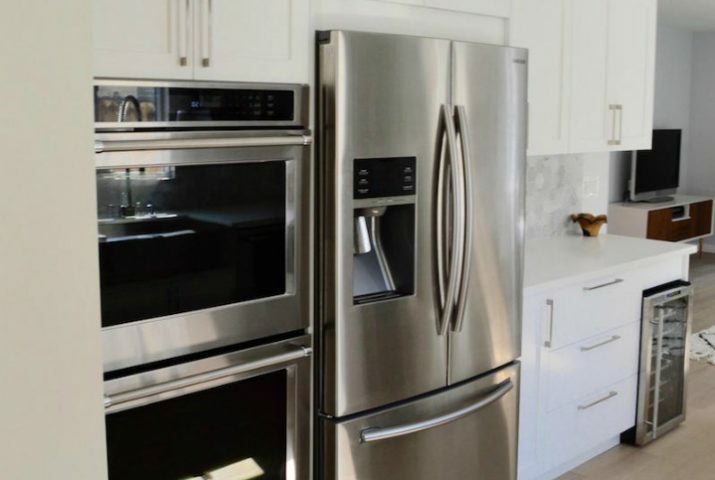 While we can’t and don’t make specific recommendations about which appliances you should buy for your IKEA kitchen, we think there are 5 things you must know before choosing kitchen appliances. Hands down, this is our most dramatic IKEA kitchen “before & after” ever! Would you believe her kitchen used to look like this? Yes, that’s the same kitchen space. Amy’s house was built in 1950 – and it had never been renovated. Ever. It still had its original 1949 stove and oven, all wood paneling. Everything was out of date (including the door pineapples). This kitchen needed an Extreme Makeover: IKEA Edition. Handsome Ty Pennington wasn’t available, but IKEA (and IKD) came to the rescue. Exposed brick. Metal. Concrete. Spot lights. 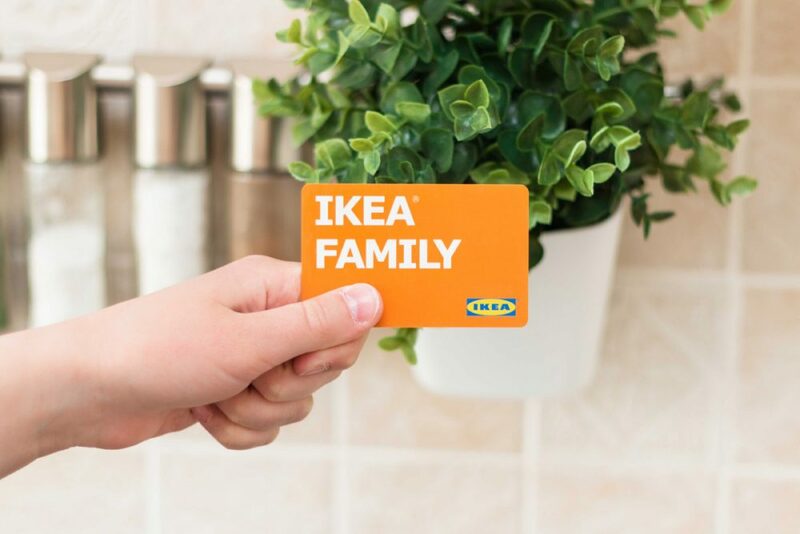 Not exactly what comes to mind when you think of Swedish kitchen design, right? 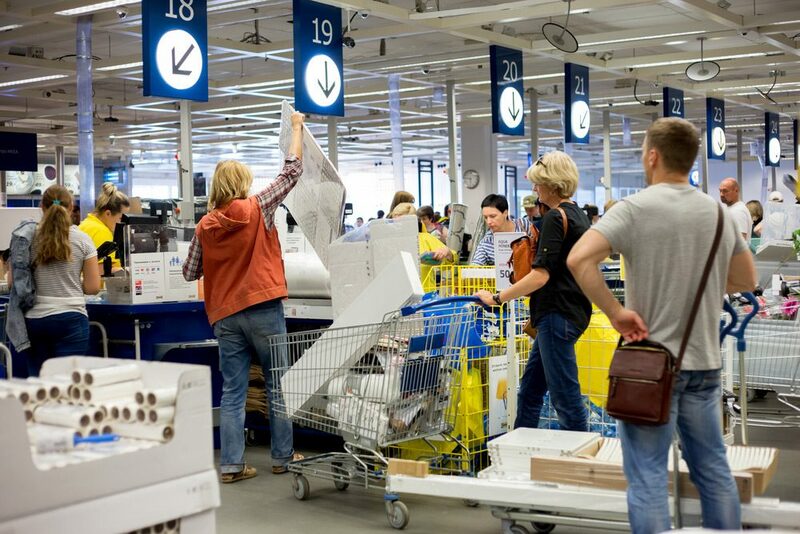 Believe it or not, IKEA is a natural choice for an industrial-style kitchen. It brings you back to the basics of raw materials and neutral colors. Yes, this is an IKEA kitchen! Here’s how our client achieved the look. It was a big change for Greta and Ron but they couldn’t be happier. We love a good Before and After, don’t you? Let’s see how they got there. Relax in the comfort of your own home with a custom IKEA coffee station. Every one of us is a different coffee drinker. Customize your coffee area with IKEA items that will meet your most demanding needs. Traditional kitchens are well-known for their attention to details and a kitchen mantle is not an exception. If you’d like to make your kitchen look custom without spending a lot, steal the look for this kitchen mantle. It’s a clever way to spice up your IKEA kitchen! With this clever set-up, the range hood and mantle blends in with the rest of the kitchen. Doors used: ADEL off-white. Using more than one color or door style in an IKEA kitchen can break up the space visually, giving added interest and variety to the space. We used RAMSJO doors in white and black-brown for this beautiful two-toned kitchen (Discontinued). The total cost for cabinets was $4917. 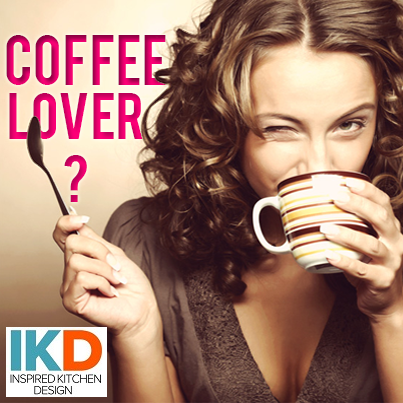 A sketch of the kitchen is a good start for our design team at IKDO. 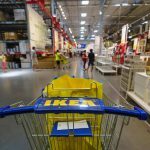 The ADEL off-white doors from IKEA were discontinued by the manufacturer after the date this article was published. They were replaced by the GRIMSLOV doors. This kitchen was in serious need of an improvement. There were hardly any working surfaces close to major appliances and this created a kitchen where working and cooking was extremely uncomfortable. Our customer wanted a clean kitchen with enough counter space for her daily cooking. 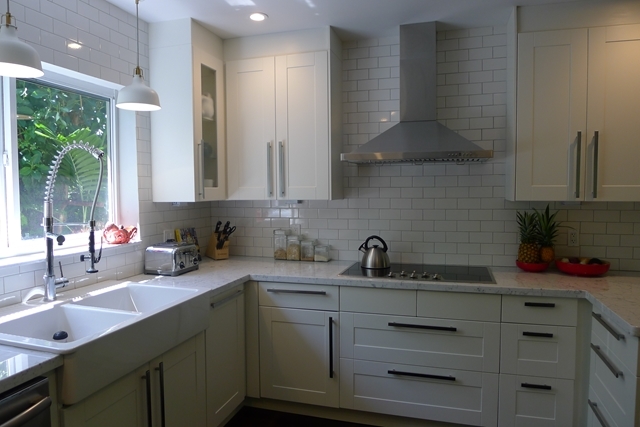 This IKEA kitchen design was completed with a $5486 budget for AKURUM cabinets with ADEL off-white doors. This is the sketch we received to get started with the design. Designing a home bar is more than just putting a few cabinets together. It’s about knowing the space and what you’d like to do with it to take advantage of what’s available. This room is so spacious and full of potential! Too bad it’s so empty… But not for long! This is not your typical remodel story. It’s an IKEA kitchen renovation with a happy ending! 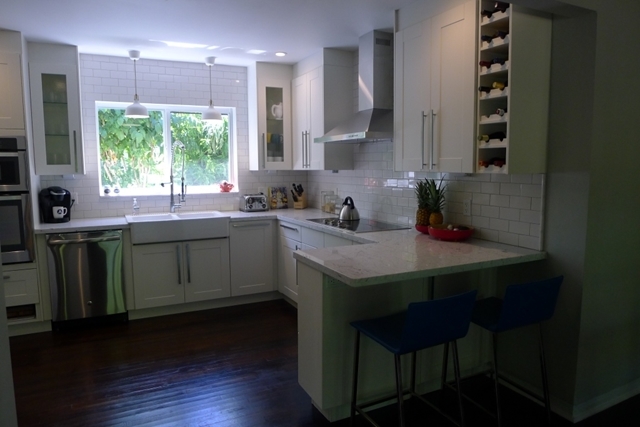 IKD helped with the planning for this kitchen by providing a completed design in just 48 hours. So, what’s the true happy ending? The cost for cabinets, countertops and accessories was $3348. 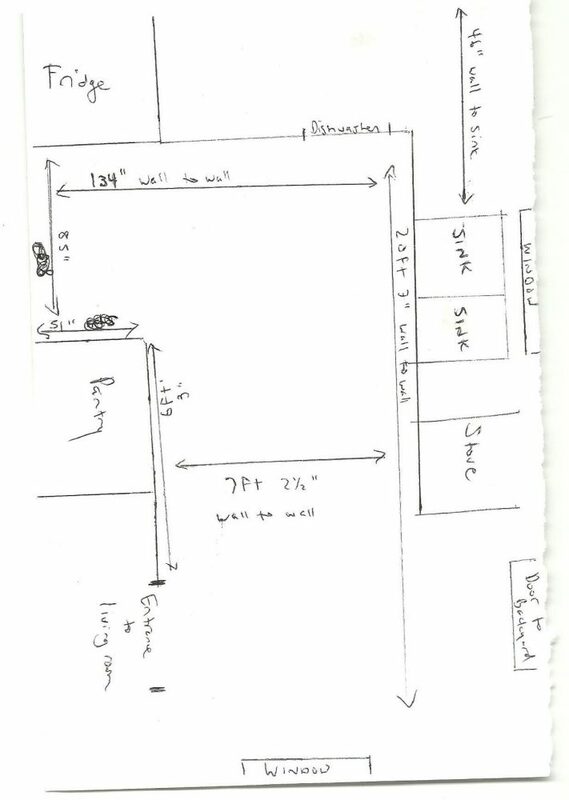 Our customer had a simple drawing with complete measurements. 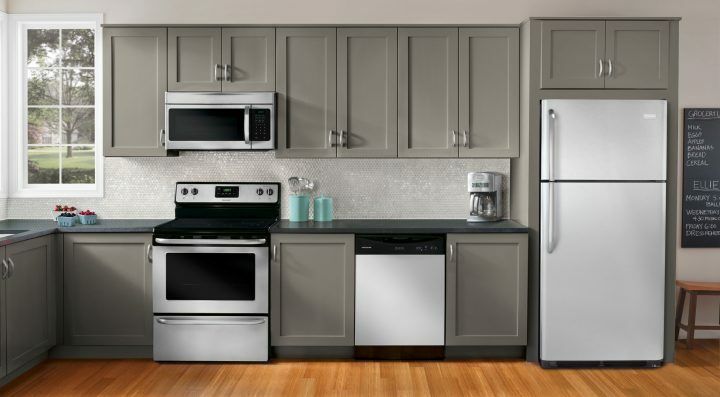 Your new IKEA kitchen has been installed, and you’ve left enough space under your granite countertop for a shiny new dishwasher, ice maker or mini fridge. Everything looks fine and you don’t see a problem. Nothing’s missing, right? WRONG. 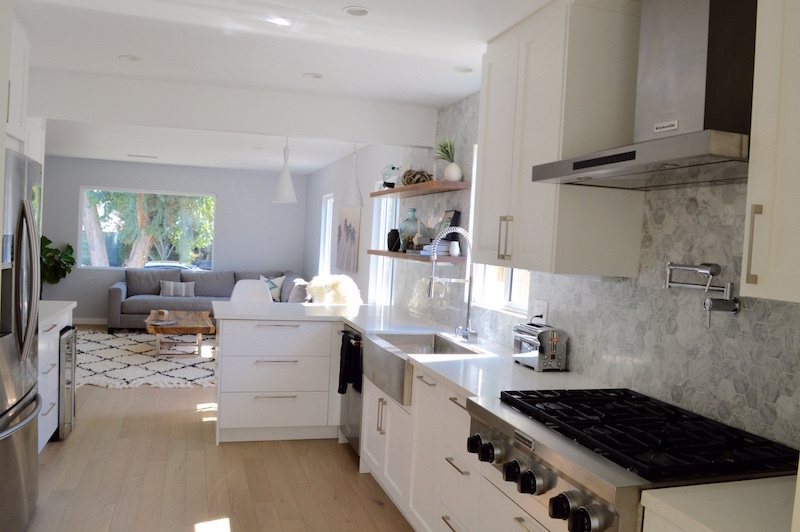 With just a few changes, our design team helped with an upgrade to an IKEA galley kitchen for $5,435 including appliances, sink, fixtures and countertop. Our customer liked her flat white doors that made her galley kitchen look slighty bigger but there was not enough space to work around the key areas. 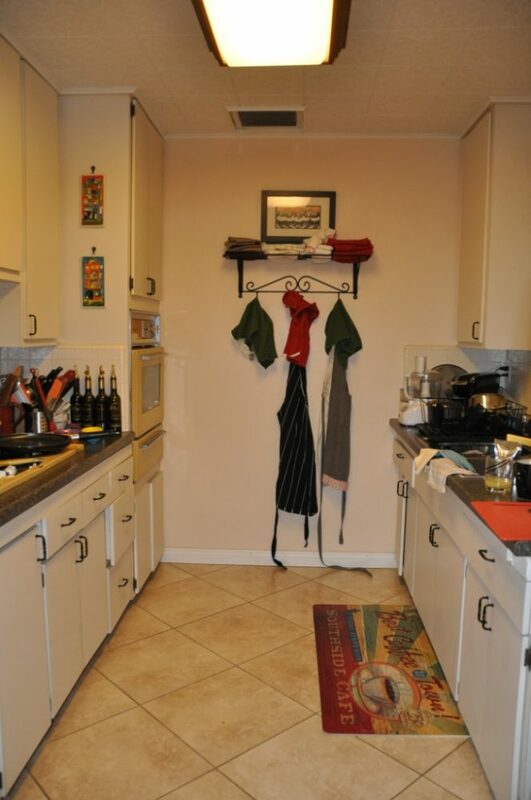 This galley kitchen needed more counter space to make it efficient. 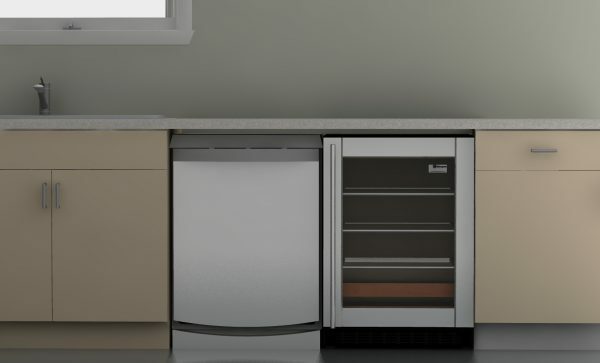 Some appliances will require a cabinet that’s specifically built for them. This is the case with drop-in ranges. 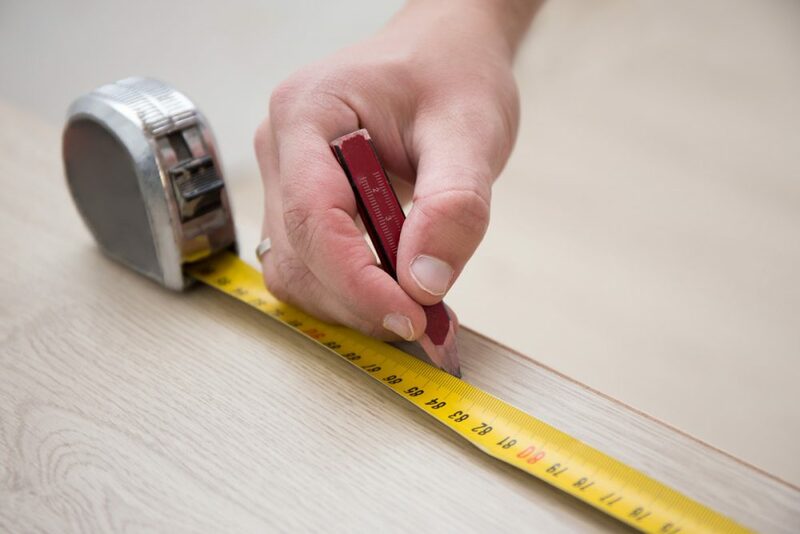 IKEA doesn’t offer a cabinet for drop-in ranges but we’ll show you the components you need for an IKEA custom cabinet that will hold a 30″ drop-in range. Drop in ranges do not have a bottom drawer and are “dropped into” a space with a cabinet front panel on the bottom. A custom IKEA cabinet is required.